The short ball directed at the head of the batsmen is one of those deliveries that can often prove to be extremely disconcerting for batsmen when bowled by a genuinely quick bowler. Many batsmen are dismissed when they fail to get out of the way of the ball or defend against it. However, batsmen, who are quick to judge the length of the ball, and who have lightning fast feet movement, can turn it into an advantage by playing the hook or the pull. Instead of ducking under the ball, these batsmen actually push the bowlers onto the back foot by attacking the short ball. Needless, it is a skill that is possessed by a handful of batsmen and more often than not, they are regarded as some of the best batsmen in cricket history. The West Indian team of the 1970s and 1980s is regarded as one of the finest cricket teams to have ever played the game. One of the most significant members of that team was their opening batsman, Gordon Greenidge. He was an aggresive batsman, who believed in attacking the bowlers from the start, and although he had a superb defensive technique, his first instinct was to dominate the bowlers. 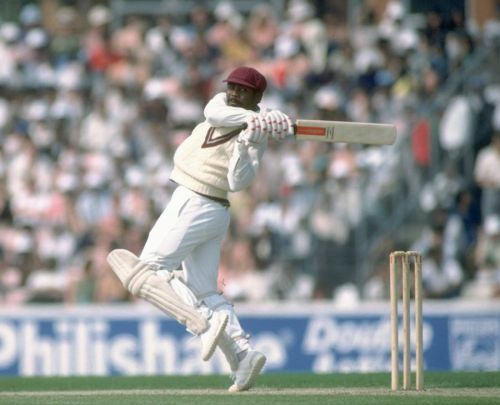 Against anything pitched marginally short and directed at his head or body, Greenidge used to be merciless, and more often than not, the pull or the hook used to be the shot of his choice. Usually, the ball went to the boundary or cleared it, and what is more interesting is that he did not avoid playing these shots even when he played at the larger grounds in Australia. Greenidge did it for years and that too, against some of the fastest bowlers in the world.